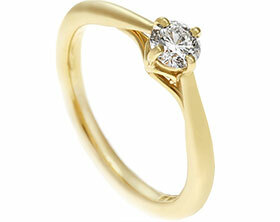 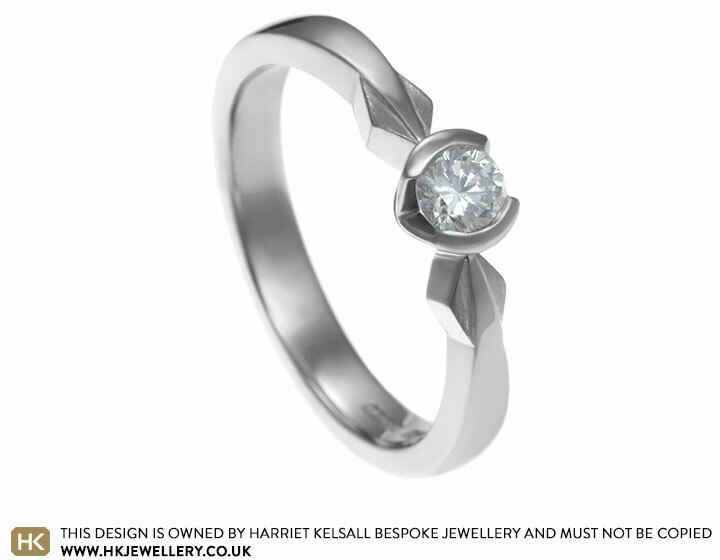 This beautiful one-off engagement ring is inspired by elegant Japanese culture, represented in its origami style shaping. 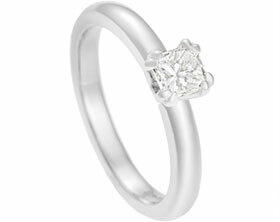 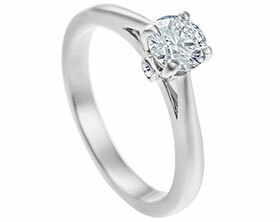 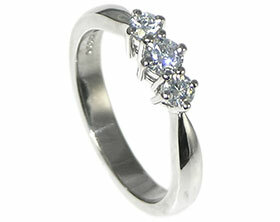 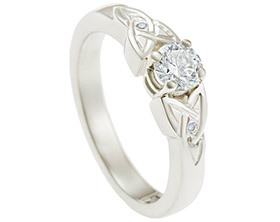 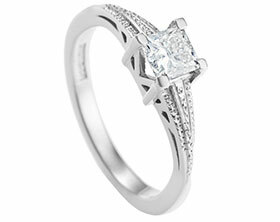 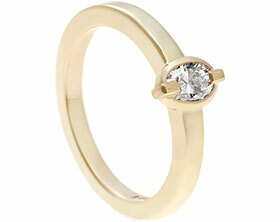 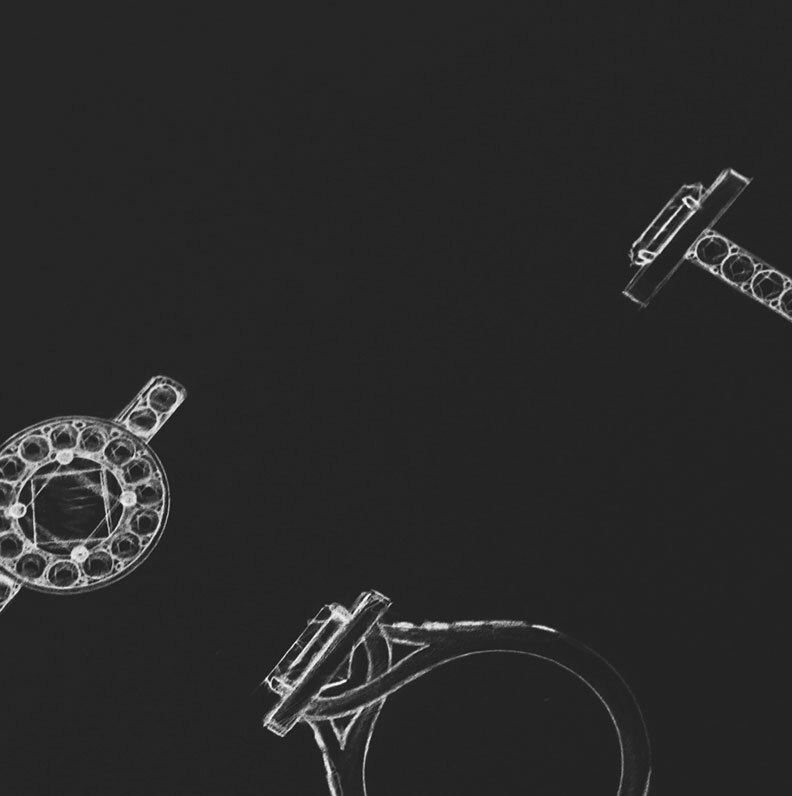 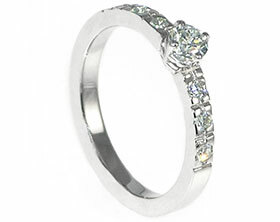 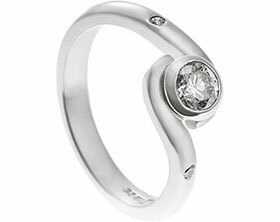 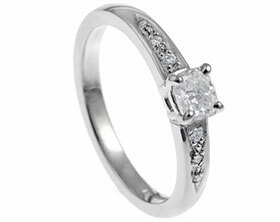 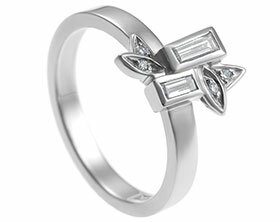 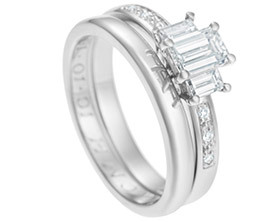 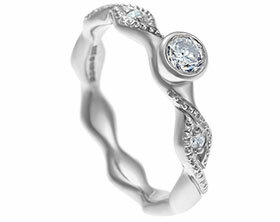 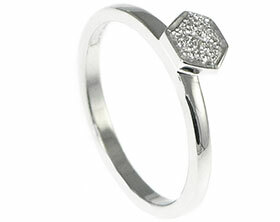 It is hand crafted in palladium with a single 3.84mm H SI 0.20ct brilliant cut diamond in an end only setting, with a lovely 3mm tapering shaped band. 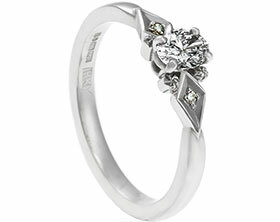 Contrasting highly polished and satin finishes serve to highlight the shaped angles of the origami design. 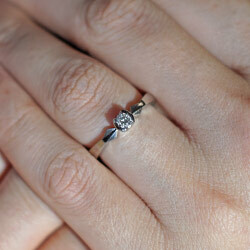 Chris and Beth's platinum engagement ring. 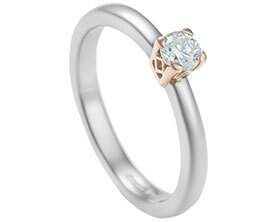 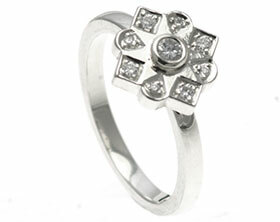 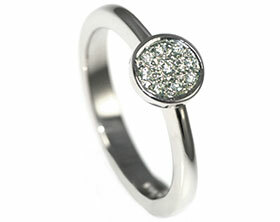 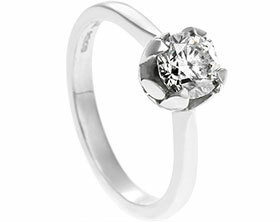 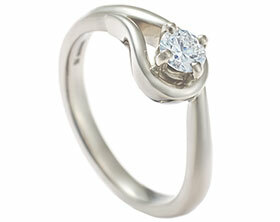 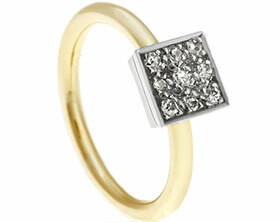 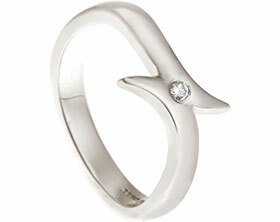 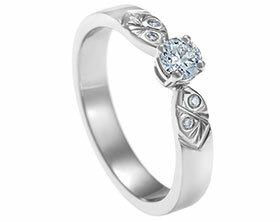 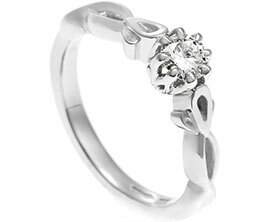 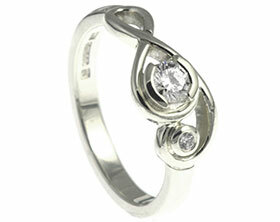 Bespoke 9ct white gold daisy inspired ring with 10 (0.32cts) brilliant cut H SI diamonds. 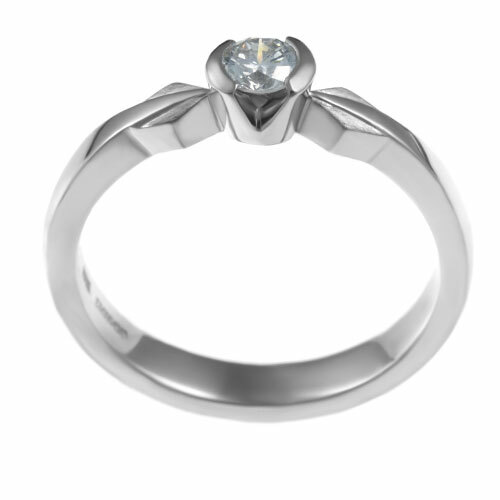 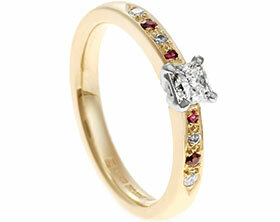 Bespoke diamond and sapphire palladium engagement ring.